Lock in a great price for Amigo Hotel – rated 8.8 by recent guests! We we upgraded to a hotel called Sapphire. The person who had over booked at the Amigo, walked us to our new hotel about two blocks. Fantastic personal service. Super friendly and the new location was only just opened Two months ago. All the rest was ok: clean and confortable bed and bathroom, staff is helpful, breakfast is included, nothing special but still nice. Friendly and helpful staff! 😁 Clean, spacious, and bright room! A little hard to find because it's in a smaller alleyway. Lovely breakfast and a short walk to the citadel. Staff were amazing, as soon as young get there they try to help and offer information about Hue. They had loads of services, we rented bikes to go see the pagodas and tomb and booked our bus to Hoi An through them all at very reasonable prices! They also have a laundry service which wasn't handy. The staff was friendly, breakfast was nice, and the location was ideal. Location was great. We rented a scooter from the hostel and the girl at the reception was very helpful to show us where to go on the map. Good breakfast included. The room was good and clean. They also had a softer mattress, which we didn’t have often in Vietnam. The staff was really friendly and enormously helpful with booking bus- and tour tickets. 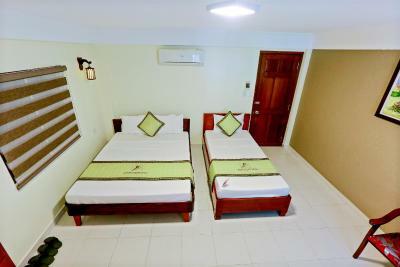 Amigo Hotel This rating is a reflection of how the property compares to the industry standard when it comes to price, facilities and services available. It's based on a self-evaluation by the property. Use this rating to help choose your stay! One of our best sellers in Hue! 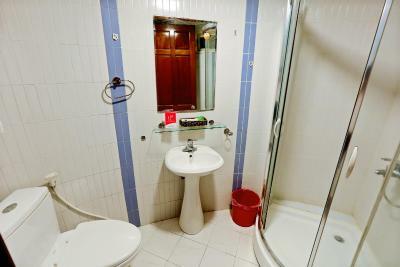 Offering views of Perfume River and Trang Tien Bridge, Amigo Hotel features rooms with free Wi-Fi and bathrooms with both bathtub and shower. The hotel offers 24-hour dining. 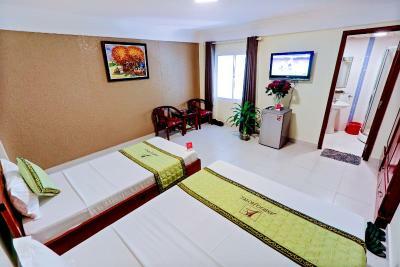 Hotel Amigo is 9.3 mi from Phu Bai Airport. Hue Railway Station is 1.2 mi away. All air-conditioned rooms feature a mini-bar. Rooms are equipped with a hairdryer and telephone. Guests can make sightseeing arrangements at the tour desk. Amigo Hotel offers currency exchange and laundry services. Safety deposit boxes are available at the front desk. 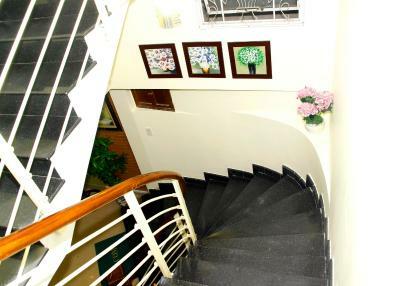 Bamboo Restaurant features local and international cuisine, as well as vegetarian food. When would you like to stay at Amigo Hotel? This air-conditioned room comes with a mini-bar and TV. Private bathroom has a shower. 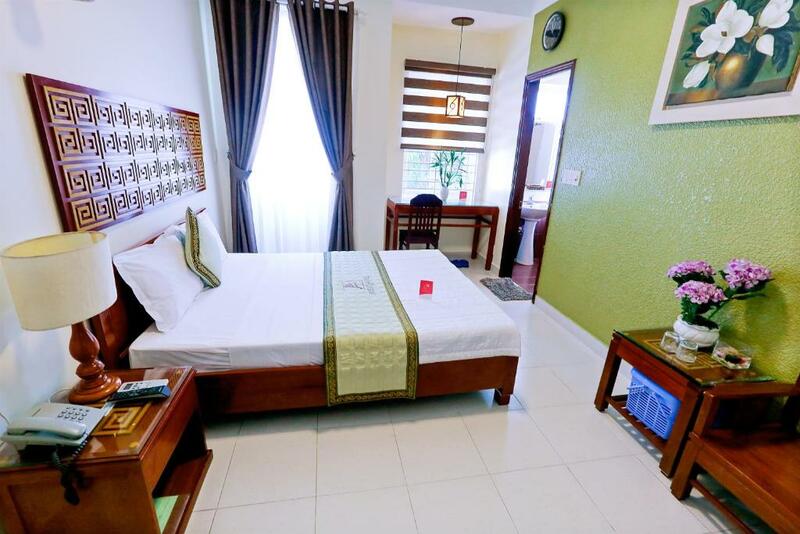 Featuring more space, this air-conditioned room comes with a mini-bar and TV. Private bathroom has a shower. Featuring more space, this air-conditioned room comes with a balcony, mini-bar and TV. Private bathroom has a shower. 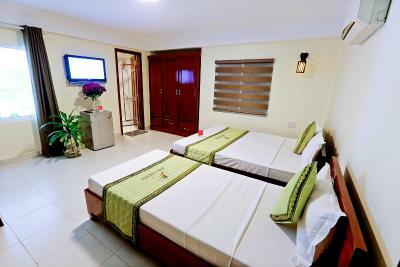 For 3 guests, this air-conditioned room comes with a balcony, mini-bar and TV. Private bathroom has a shower. House Rules Amigo Hotel takes special requests – add in the next step! Very comfortable and clean hotel in a great position. Really large room and bathroom. Good breakfast served in the morning. And thanks to Huong for being so kind and helpfull. The shower in our room needs fixing. The woman at the reception was very polite and wanted to help us with anything we may needed. Before we got there we had some communication through emails and the responds were fast and to the point. Good location for everything. Big comfortable beds. The absence of lift particularly for luggage. Very polite personal. Very tasty breakfast. The pancakes for breakfast weren’t great; I don’t think they were cooked fresh. It’s location was perfect for what we wanted. The lady on reception was very helpful and friendly. Rooms lovely and clean. I booked a 6-bed female dorm & was put into the 10-bed mixed dorm as the female dorm apparently had electrical issues. Mosquitoes in dorm. Wear ear plugs if you are a light sleeper as you can hear the music from surrounding bars. Helpful friendly staff. Breakfast OK - the local options looked much better than the pancake. Comfy bed. Reception books a minivan to Phong Nha. Hostel easy 1.5km walk from train station if you don't have too much luggage. The window was 2cm from a wall so it's as if we didn't have any, making the rooms really different from the pictures you can see: really dark, quite moist. It's the only thing that was wrong but it makes your room a place where you don't want to stay a second more than when you're sleeping so it was a big issue. Friendly and nice hotel! The staff was so amazing. They spoke English very well. Breakfast was delicious and the room was comfortable! The place is very central. The staff was really amazing and helpful. Also nice breakfast included. The price was very good.